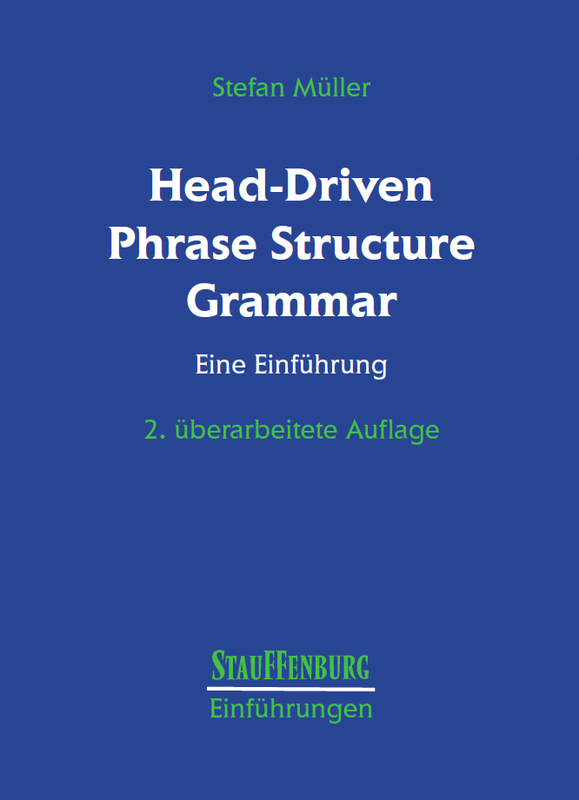 This book is a self-contained introduction into the framework of Head-Driven Phrase Structure Grammar. An introductionary chapter motivates the use of complex feature structures in comparison to simple phrase structure rules. The second chapter discusses the formal underpinnings of HPSG in a rather informal way, that should be understandable for everybody. The remaining chapters introduce several grammar components in a phenomenon-oriented way. The analyses are developed for German. Most of the chapters deal with syntactic phenomena (constituent structure, constituent order, case, passive, agreement, verbal complex and particle verbs), but morphology (inflection and derivation) is discussed as well, and it is shown how the meaning of morphological and syntactic constructions can be determined compositionally. The sections that present the analyses do not discuss alternatives. I hope that this helps the reader who is new to grammar theory not to get lost in detailed and difficult discussions. Instead of discussing alternatives in the main text, this is done in a special section in each chapter. This section is intended for the advanced reader. The suggested analyses are compared to alternative HPSG proposals, but also to proposals in the frameworks of Construction Grammar (CxG), Lexical Functional Grammar (LFG) and Variants of the Government & Binding Theory (GB). The discussion focuses both on formal properties of the respective theories and on empirical facts from German and other languages. The download of this book and the software related to the book is free. The price of the book is 35€, which is very low. So it may be worthwhile to buy the book, if you want to do serious work with it. The electronic version will be a valuable extension. Review by Markus J. Weininger in Info DAF 2/3, 2009, pages 263–266. Review by Wilfried Kürschner in Germanistik, 51(3–4), 2012, S. 571.